At Familien-Campingplatz Pommernland GmbH in Ostseebad Zinnowitz (Mecklenburg-Vorpommern) camping costs as little as €20,- per night during low season with CampingCard ACSI. At one of the 360 touring pitches you will get a discounted rate during the period 01-03-2019 - 25-06-2019 and 01-09-2019 - 31-12-2019. At this campsite you can not only use your CampingCard ACSI for inexpensive camping, you can also use your ACSI Club ID (as an alternative ID). Woodland campsite with many shaded pitches. Spacious unmarked pitches. Perfect for walking and cycling tours. Restaurant with excellent cooking on the campsite. Plenty to do for children. A short walk from the lively centre of Zinnowitz. Great place to stay with children. Playground and direct access to the bike path. Toilets very clean and not overcrowded. We'll be there again definitely. Would you like to book Familien-Campingplatz Pommernland GmbH or request more information? You can do both using the information below. B111 Wolgast-Ahlbeck, left at the traffic lights in Zinnowitz, turn right at 1st roundabout. Left at the chemist, then continue to the end of the road. 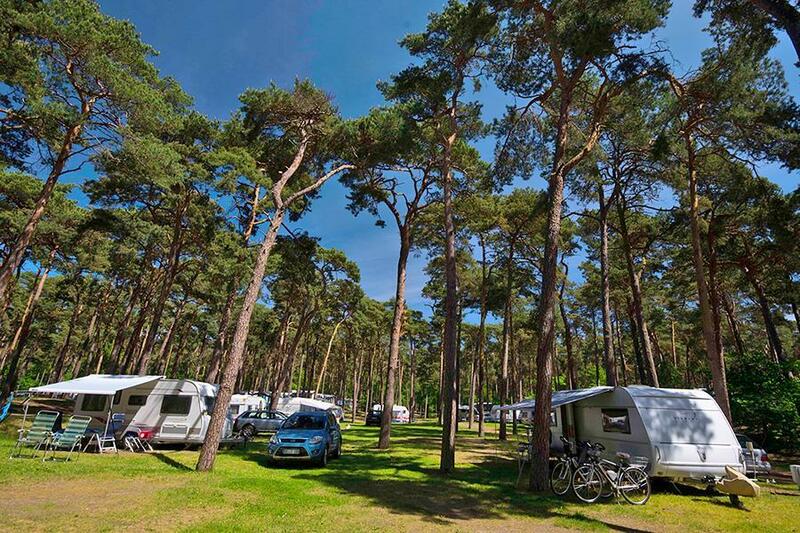 CampingCard ACSI will send your information request to "Familien-Campingplatz Pommernland GmbH".